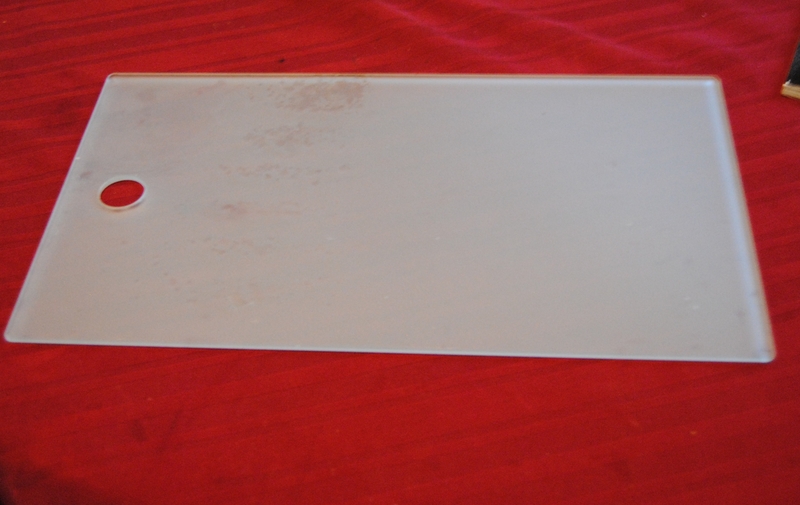 I have a glass cutting board I used for cutting paper and crafts. I have several cutting boards, and did not have a use for this one in the kitchen so, I used it for crafting on and cutting paper. I was sitting at my work station one day and decided to “dress it up” a little. 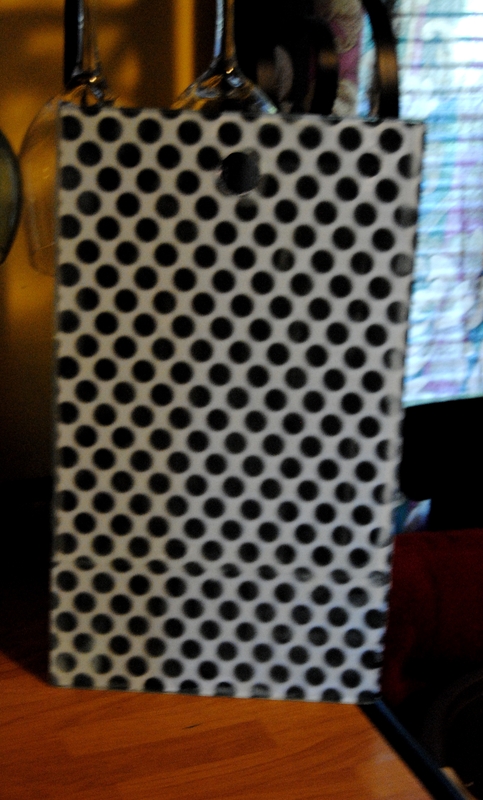 I had this great black and white polka dot scrapbook paper. Since the cutting board was made from a clear glass, the idea was to adhere the paper to the back, and allow the polka dot image to appear through the glass without affecting the usable surface. I applied Mod Podge to the back of the cutting board with a foam craft brush and adhered the scrapbook image facing out. I then trimmed the paper around the glass. 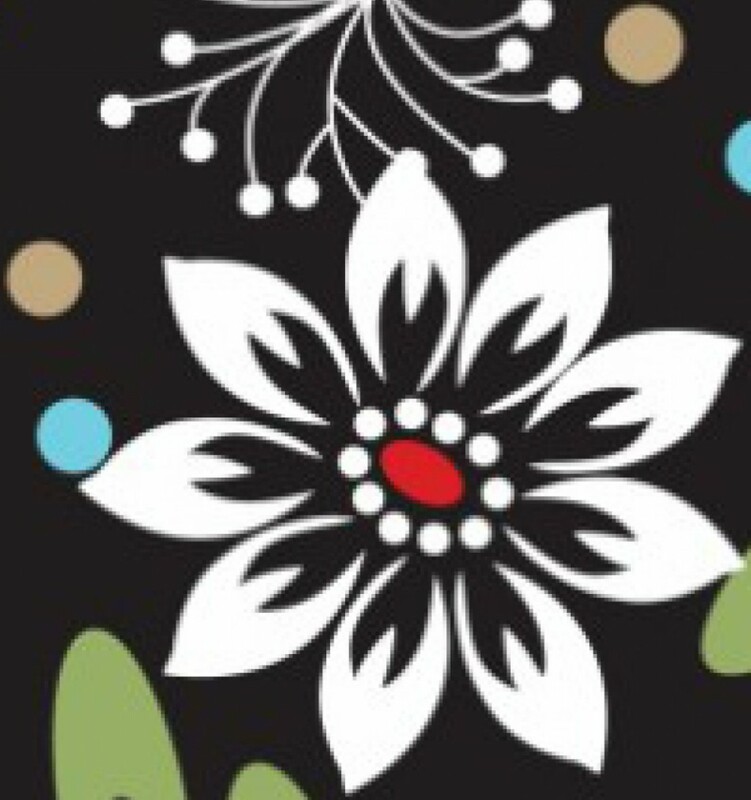 I carefully matched the polka dots up so the pattern appeared as seamless as possible. I applied Mod Podge on the back of the paper to seal it. If I were to use this as a real cutting board, I would use outdoor Mod Podge to seal the back for added protection. This cutting board will be used for cutting, but not used around water so I used Mod Podge matte finish to seal it. Just think of the possibilities! It also would make a nice decorative piece also if not used as a cutting board. You could Mod Podge any image and photos behind the glass! Your projects are always so much fun!